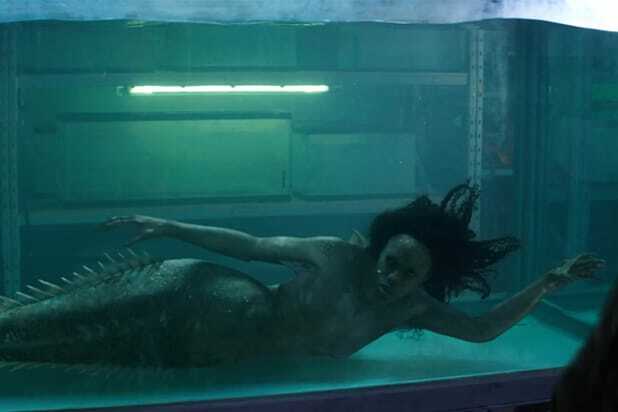 “Siren,” the upcoming Freeform drama about killer mermaids, may sound like a supernatural fantasy series, but creator Eric Wald is aiming for something a bit more realistic. TheWrap: Mermaids are one of the few supernatural creatures who haven’t been explored much on television, how did you come to this idea for a show? Eric Wald: One of my favorite movies has always been “Jaws,” and I think I’d just seen an anniversary screening of it. A lot of people think of it as a great monster movie — and it is — but it’s also incredibly funny. It’s a great portrait of this small town, there’s amazing drama. It kind of has everything to it, and to me it’s a perfect piece of entertainment in that way. So I felt really intrigued by that setting and that world. And around that time the “Pirates of the Caribbean: On Stranger Tides” movie had come out, and we got a tiny glimpse of a slightly different view of mermaids. So that was sort of the germ of it, marrying those two ideas. Obviously a lot of it was sorting out how it could work as a TV show, having to balance the amount of time we spend out on the water and that stuff. But really, it sort of started with the love of “Jaws” and being able to expand that into a television show that was interesting and exciting. Freeform first ordered the pilot nearly two years ago, has the show changed much since then? Obviously when the script sold, it went through the development process and changed and improved, but the core idea really didn’t change that much. The one great thing about this project is kind of from the get-go, everyone’s been trying to make the same show. The network really embraced the original vision for it and even pushed us further in that direction. The one piece was that teaser in the pilot. So many times in TV, the teaser is the thing that everyone focuses on and gets rewritten a hundred times, and that teaser is almost completely intact from how it was written in the original script. Well, one thing that did change was the title. What makes “Siren” a better title than “The Deep”? “The Deep” had to change for legal reasons, I think it was an animated series. But in terms of the idea for “Siren,” that was really something that came from the network. It just felt like it captured the intrigue and the sexiness [of the show]. Our lead Eline is so amazing and intriguing that it felt really tapped into those ideas. But of course online now there’s been all this spirited debate about whether sirens and mermaids are different. It’s one of those great arguments where both sides are right. The strict definition is half-bird, half-women creatures from Greek mythology who lure sailors with their songs. But there’s also a broader definition of the term, which is sort of any alluring, dangerous, intriguing female. So we’ve sort of embraced the broader definition of it. You mentioned “Jaws” and this more sinister take on the mermaid myth, but did you have any other points of reference in building the world for the show? A lot of what we talked about were the indie horror movies like “It Follows” or the Swedish “Let the Right One In.” That sort of stylistic but still very beautiful, grounded look. We give a nod to classic mermaid films like “Splash” … It’s been fun to play with that stuff and add little Easter eggs here and there. Yeah, we had a giant tank. You just can’t re-create the movement of hair and the way actors move underwater. The great thing is our actors did a lot of training on how to hold their breath and get really comfortable under water. Our lead, Alex Roe, can hold his breath for almost four minutes. It’s crazy. Once they got that comfort level in the water, they were actually able to perform in the tank, which was really critical. And then any shot where we see them above water diving into the ocean, that was actually real ocean [in Vancouver]. Let’s talk a little about casting the show. Eline has such a unique look, almost otherworldly. Was that something you were looking for specifically? Absolutely. That was literally the word we used to our casting directors. First of all, we want someone skilled, but we want exotic, otherworldly, beautiful, intriguing. I kept asking if there were any Icelandic models we could find because we really did want that unique look. Obviously every part is critical, but if the mermaid doesn’t work, we don’t have a show. When we saw her tape, we knew that she was it. She doesn’t look entirely human. But beyond her physical appearance, she’s really able to embody the part. She says three words in the pilot and yet you can’t take your eyes off her. She really did the work and embraced that feral quality. How did you land on Roe for the male lead? That part was actually really tough to cast because we went though a lot of L.A.-based actors, but we needed someone who had that intelligence to believably play a marine biologist. Also, just be solid as a man and a grown-up. We didn’t want just a pretty actor, we wanted someone with some edge to him. Alex was someone our showrunner Emily Whitesell had worked with on a Freeform pilot before, and his name came up at the 11th hour. We were pleasantly surprised that he was open to doing it. There’s something about the British actors, there’s a weight to them and an intelligence that’s really hard to find. He really anchors the show in an important way. At one point in the pilot, the mermaids are described as these animalistic creatures with predatory instincts. How did you land on this characterization for the mermaids? We wanted to keep the mythology relatively simple. Shows like this can sometimes get lost in their mythology, or start expanding the mythology in ways that can start to get confusing. And that extended to how they transform — basically if they’re in ocean water they’re mermaid, and if they’re on land they transform. They can remain on land for a short amount of time before they start drying out, but they do start to adapt … they’re able to stay on land for longer periods. We also played with the idea that when they are in mermaid form, that’s more of their apex predator-state. So they are more dangerous. Should viewers expect to learn more about the mermaids as a society? I’m sure it wouldn’t be cheap, but will we see more of what their lives are like underwater? You’re right, just from a logistical standpoint, we can’t spend too much time underwater. But that said, we do learn a bit about how they live, their food sources. In Season 1, that’s less of a focus, but if we were to come back for future seasons, we’d definitely want to explore that more. But, again, we want to keep it grounded in science and biology, so there’s no great Atlantis-type civilization down there. We do get a bit into their social constructs and that’s something we can play with and see how it plays out on land. 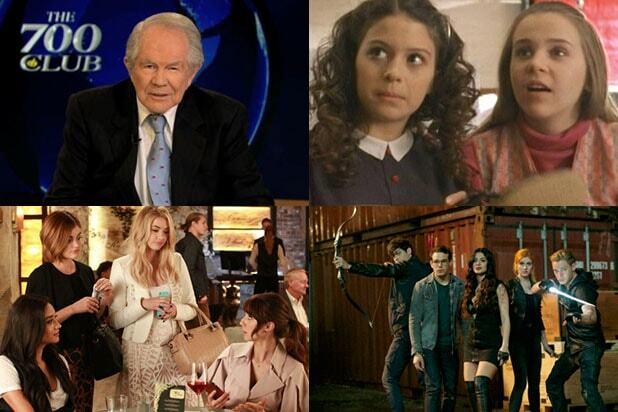 I’ve seen the show compared to “The Vampire Diaries” a lot, which started off as a show about vampires and then slowly opened itself up to a whole range of other creatures. Have you ruled that out or is that something you’re keeping yourselves open to? Ask me in Season 8 [laughs]. Right now, we really do want to keep the mythology relatively contained. That allows us to really dig into the characters and the relationships without sort of the mythology taking over too much. We love that we have this supernatural element to it, but it’s important to us that it feels real and grounded to it. I don’t imagine that there would all of a sudden be octopus-men or mermaids with special powers. I think that’s where the show would start to get confusing. 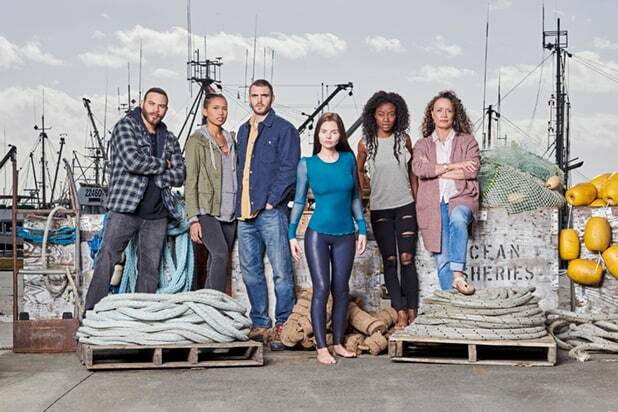 “Siren” debuts with a two-hour premiere on Thursday at 8/7c on Freeform.